Would really appreciate some advice on what is becoming an incredibly frustrating decision. I considered a 5D or 6D for a long time because of the full frame sensor, but realized that it would make issue b) even worse. 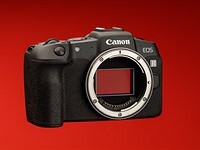 I'm therefore absolutely convinced I should sell my Canon gear and am now looking at these mirrorless systems. I've been deliberating over the choice of the OM-D E-M5 vs. X-E1 for ages. I see strong arguments for and against both cameras/systems on these forums.
. Great image quality, large sensor, the "creamy film-like feel" of the images.
. The fully "old school" controls (having to manually turn the aperture ring on the lens barrel and the click dial for shutter speed). I find it a little cumbersome. 1. A lot of low-light and night photography using long exposures. As well as urban street scenes (dark alleyways etc.) I often shoot bulb exposures of a few minutes or more in forests or mountains at night, using ambient light only. The X-E1 seems to have less noise and better low light performance, but I wonder if the IS of the OM-D can balance the equation. To be honest I rarely shoot above 400 ISO anyway - I don't need to get sharper shots at 12,800 to freeze motion for example. I'd rather use a longer exposure at lower ISO. In this regard, the OM-D's Live Time function looks quite brilliant. 2. Shallow DOF shots with soft bokeh. Including night shots. The X-E1seems far better based on samples I've seen. I've not seen a single sample from the OM-D with very narrow DOF and beautiful bokeh. But perhaps this could be compensated by the choice of lens on the OM-D? Any comments from photographers on the above points would be gratefully appreciated. I own an OMD and a NEX. But based upon your described preferences, sounds like the XE1 may be a good choice. BUT be sure you're OK with its relative limitations. I think OMD is a great all-arounder. Personally I bought it because of the MFT lens selection and the weather sealing, especially the weather sealed 60mm Macro since I love nature macros. Try to test one in person if possible. 20 Do you want in-camera TIFF output?